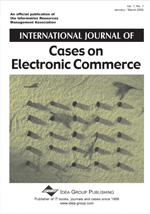 The case describes the initial implementation and evaluation of an e-procurement system, using reverse auctions, for a large manufacturer of brown coal in the Slovak Republic. One of the biggest problems when making decisions on e-business investments is unclear return on investment (ROI) and uncertainty about what method should be used for measuring the results. An outline of the reverse auction process is provided, followed by the presentation of a number of metrics that evaluate the current performance of the system versus intended future performance matrix. Specifically, it focuses on the ROI and other performance indicators that have been adjusted according to e-commerce specifics, particularly to procurement with dynamic pricing transactions. The case results proved that the investment into the e-commerce solution is highly effective in reducing input costs.